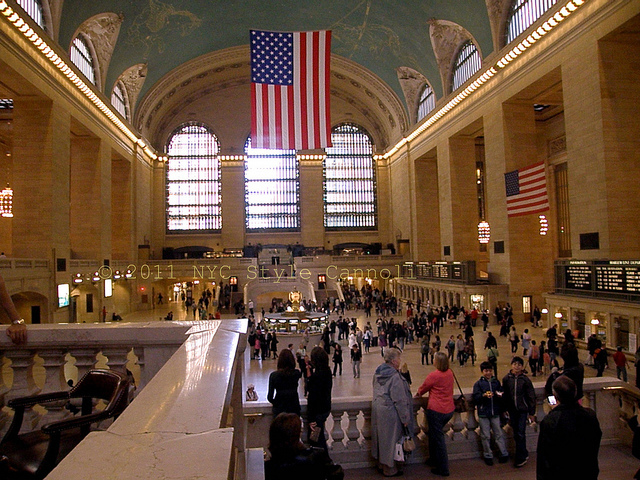 Grand Central Terminal may be one of the most active and hectic locations on the planet. But even travelers through this historic facility can use a boost of energy from time to time. That’s why America’s Peanut Farmers have chosen Grand Central Terminal for the launch of a new national promotion, “Peanuts Energize Your World.” For two days, visitors to Vanderbilt Hall will have the opportunity to sample peanut and peanut butter products, meet peanut growers, ride a rollercoaster simulator and register to win a 2012 Ford Focus and other great prizes. With seven grams per serving, peanuts have more energy boosting protein than any nut, as well as more than 30 nutrients and phytonutrients. WHEN: Wednesday, March 14, 9 a.m. to 7 p.m.
Thursday, March 15, 8 a.m. to 7 p.m. The National Peanut Board represents all USA peanut farmers and their families. Through research and marketing initiatives the Board is finding new ways to enhance production and increase consumer demand by promoting the great taste, nutrition and culinary versatility of USA-grown peanuts. For more information, visit www.nationalpeanutboard.org. Grand Central Terminal is a historic train terminal, and a midtown shopping and dining destination known for its mix of restaurants, cocktail lounges, high-end informal eateries, gourmet food and wine shops, and a vibrant array of specialty local as well as internationally renowned shops.